Oh yes, chocolate and mint can be GOOD for you! See for yourself with our Mint Chocolate Green Smoothie. I swear this Mint Chocolate Green Smoothie can’t actually be good for you. If I didn’t make it myself, I would never have guessed that it is full of healthy goodness. 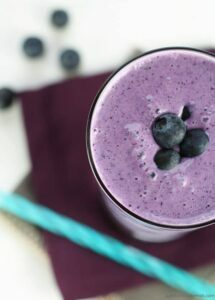 I have a few green smoothies that I always keep in my breakfast rotation (our Spinach Banana Protein Smoothie and Sheila’s Mango Ginger Power Smoothie are two of my favorites), but sometimes I crave want something a little more decadent to jumpstart my day. 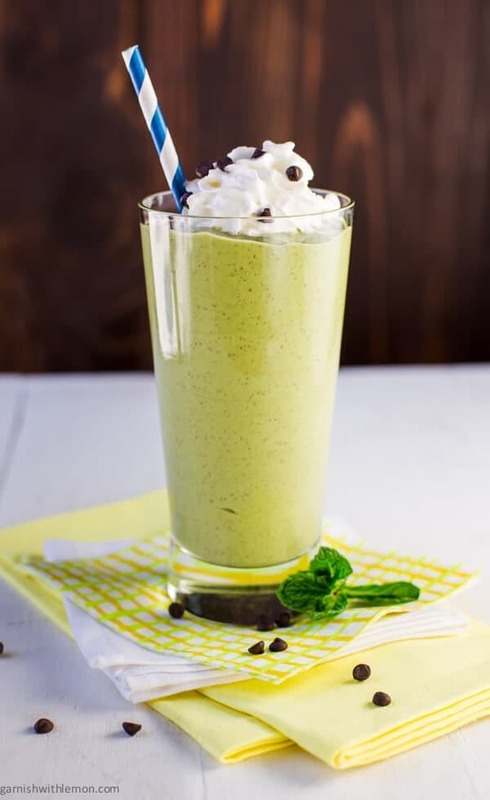 This Mint Chocolate Green Smoothie tastes more like a milk shake than a smoothie, which means my kids are all over it, especially when I dress it up with a little whipped cream and chocolate chips on top. Dessert for breakfast anyone? Now I realize that I’m negating some of the health benefits of this smoothie by adding whipped cream and extra chips on top of the smoothie, but I’d venture to say the nutritional content of this smoothie is still pretty solid. I’m certainly no dietician, but protein-rich vanilla Greek Yogurt combined with calcium-loaded fresh spinach and omega-3-abundant avocado certainly help tip the scales on the positive side. Trust me; there is no way I’m getting Grady to eat fresh spinach in the morning unless it’s pureed inside a smoothie, so the mint chocolate combo is just an added bonus. Dare I say, you could also make a thicker version of this smoothie and serve it in parfait glasses as an easy, healthy dessert. You could gussy up the name to sound like a fancy French dessert (menthe chocolat mousse, anyone??). But really, there is not need to disguise the fact that this Mint Chocolate Green Smoothie is just plain GOOD. And it definitely deserves a spot in your green smoothie arsenal. I’m totally going to make this with coconut milk and coconut yogurt. Can’t wait to try it! Ooooh, that sound like a tasty combo. Let me know how it turns out! 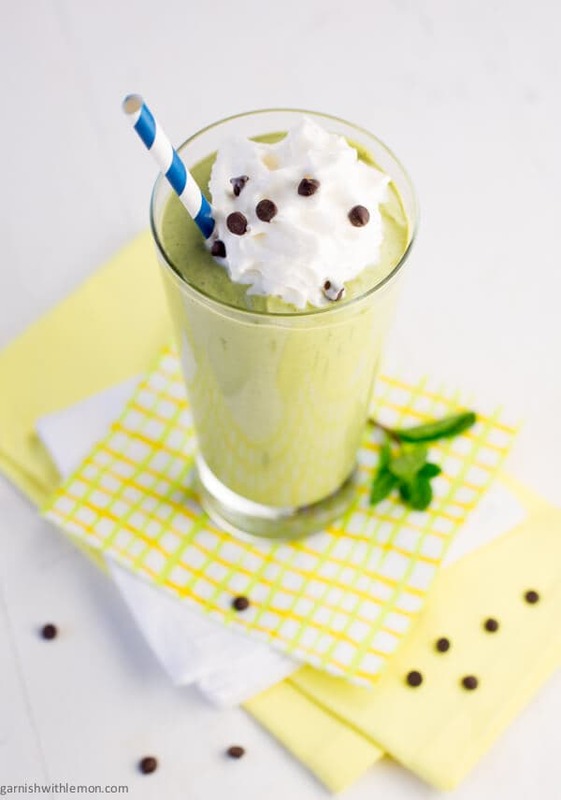 My husband has an obsession with mint green milkshakes–can’t wait to try this one out on him! Mint green milkshake obsession? I like how your husband thinks! 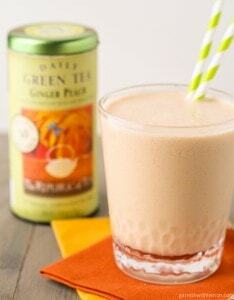 I’ve made a smoothie similar to this and you are right, it was so good! Great minds think alike, Tonia! 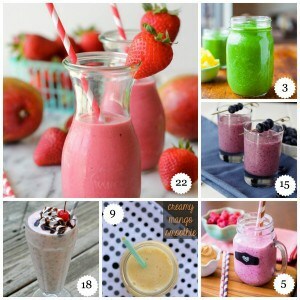 I love this smoothie!!! The flavors, the colors, just YES! What a fun twist on a green drink. I can’t wait to try it. Mint is one of my favorite flavors! So healthy and so delicious.. this mint chocolate green smoothie is perfect! Chocolate and Mint together can never go any wrong! That could be the most beautiful green smoothie I’ve ever seen! I make avocado versions from time to time, but they never look that vibrant! It’s the combination of spinach and a perfectly ripe avocado, Alisa. I’ve made a few smoothies where my avocado was a bit past its prime, and the color is definitely duller. Spinach, avocado and mint? So many tasty green flavors :)! And I love the addition of chocolate here. Definitely a good way to start the day!